Dr. Lynda Tran has been selected to join the Dentistry Board at the American Health Council. She will be sharing her knowledge and expertise on general dentistry, cosmetic dentistry, pediatric dentistry, sports dentistry and oral conscious sedation. Dr. Tran maintains affiliations with the following organizations: Academy of General Dentists, American Academy of Dental Sleep Medicine, Academy of Sports Dentistry, Omicron Kappa Upsilon (A National Dental Honor Society), and the Spear Study Club. She volunteers with One Percent for the Planet, Save Our Shores, and Court Appointed Special Advocate (CASA), where she works with abused and neglected children. In her free time, Dr. Tran enjoys trail running, discovering new hiking trails, surfing, traveling, and spending time with her friends and family including her loving dog. 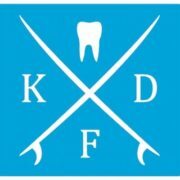 Serving the Santa Cruz, Watsonville, and Los Gatos, CA communities with patient-focused dental care, Dr. Lynda Tran and the team at Kai Family Dentistry provide the highest level of Dental care with an emphasis on comfort for patients of all ages. With a conservative, comprehensive approach to dentistry is based on helping patients achieve whole-body wellness, ideal oral health, and a beautiful smile to last a lifetime.